The Brewery offers some incredible options for corporate conferences, awards dinners, weddings and more. We now have a new sister location where we can provide something a little more exclusive – The Grubstreet Author. 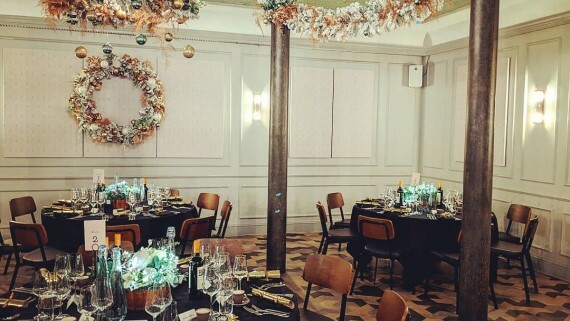 The Grubstreet Author is a collection of new luxurious event spaces and, like The Brewery, is still located in the heart of Moorgate in London. Our new, historic location is reflected in the three spaces which are all rich in character and have a story to tell. The Cutting Room, The Sample Room and The Pasteur Room each offer unique settings with a blend of chic design and traditional architecture. The Pasteur Room, named after the famous French chemist Louis Pasteur, is the perfect room for a private dining experience. Its striking herringbone floor, burnt iron chandelier, and eye-catching tin tiled roof will provide a unique location for any private dinner, wedding, meeting or conference. 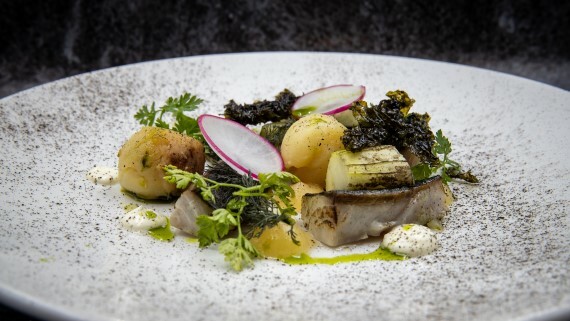 Our chefs provide an exceptionally high standard of food, delivering menus previously considered only possible at high-end fine dining restaurants. Visit the Pasteur Room and view sample menus, showcasing the incredible food on offer. The Cutting Room offers the opportunity to hire a private cinema screening room. 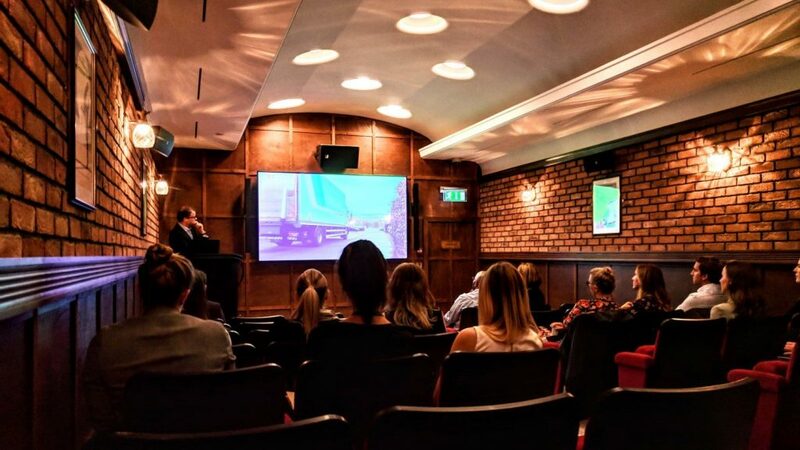 Perfect for small conferences, product launches or intimate cinema screenings, the room has been restored to its former glory and can now seat 48 guests. The cinema screening room comes complete with a huge 98 inch screen, accompanying digital surround sound and immersive LED lighting. Want something a little different that stands out from the crowd? The Cutting Room offers just that. The Sample Room is an exquisitely stylish space perfect for parties, functions, cocktail receptions, and networking events. The luxurious fixtures and furnishings create an incredibly impressive space, a step up from other venues. The fitted metallic bar with glowing neon quill provides the perfect setting for cocktail receptions. Combined with the soft furnishings, integrated PA system, LED lighting and air conditioning, the Sample Room provides the wow-factor for any exclusive event. 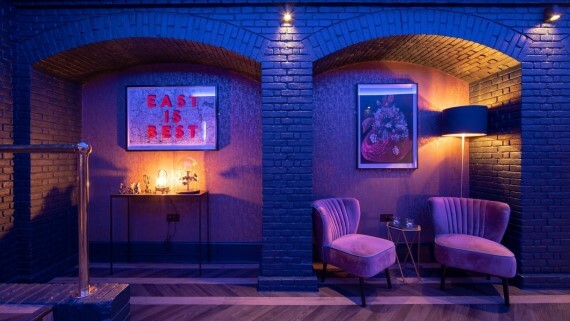 Unique and stylish decor, incredible food and the latest alcoholic creations – what’s not to like? Visit the Grubstreet website to find out more about this incredible venue, download sample menus, view floor plans and more.